Against a background of grey skies and bare branches the once so popular ornamental shrub, the snowberry, sparkles. It is not a native shrub in Estonia but it is so widely spread in both urban and rural green areas that everybody knows it. It is not worth tasting the very appetizing-looking berries – they are poisonus. 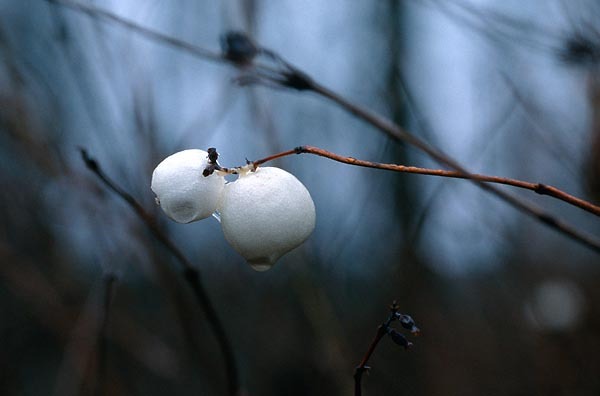 Children have always made snowberries „pop“ under their boots in autumn.